Moloto Road runs north-eastwards from Pretoria, traverses three provinces and ends at the N11 near Marble Hall. The Gauteng section will be funded by the Gauteng provincial government. 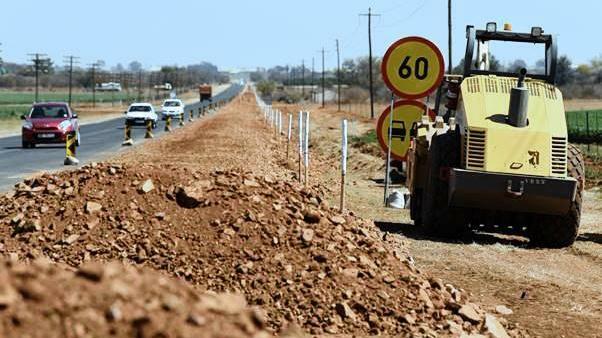 Construction of the first phases of the upgrading of R573 Moloto Road, a 137km stretch from Gauteng to Mpumalanga and Limpopo, is nearly complete. The project officially started in 2015. The South African National Roads Agency (SOC) Limited (SANRAL) has invested R3.7-billion in the project over a period of five to six years. The budget is for the Mpumalanga and Limpopo sections only. The Gauteng section will be funded by the Gauteng provincial government. Thirty percent of the project value will be awarded to SMMEs. The scope of work for the first phase (Mpumalanga and Limpopo) included the construction of four traffic circles; three in Mpumalanga – at Vlaklaagte 1 & 2 and Tweefontein – and one in Limpopo – at the intersection of the N11 and R573 in Marble Hall. No work has gone out to tender for the Gauteng section of the project, as the project is still in the design phase. The butterfly intersection Mathys Zyn Loop was also constructed, which included widening road lanes to 3.7m with a 3m shoulder on both sides. There are three phases currently at the design stage, which will go out to tender during 2019.